21.49mm x 10.28mm / 0.846in. x 0.405in. Cannon Charm by Rembrandt Charms. The length is 7/8 of an inch. 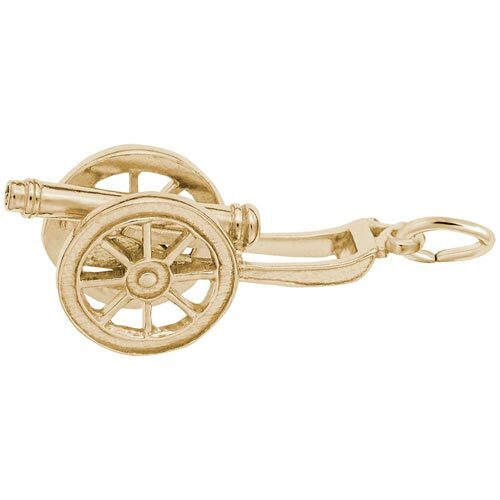 If you love history or historical weapons, the Cannon Charm is a great addition to your bracelet. This patriotic jewelry piece makes a nice gift. This car jewelry can be placed on a necklace as a pendant or will be a wonderful addition as a charm for a Charm Bracelet. All Rembrandt Charms are available in either silver or gold.